When I attempt to size up the teams playing in Super Bowl XLVII this Sunday, I first look at the path each took to get here. This gives me an idea of how well the team is playing against better opposition, in its most recent games. Let’s start with the 49ers. After its first-round bye, San Francisco comfortably won a home game against the Green Bay Packers. For a few fleeting days before this, many “experts” had been saying that the Packers were a team that “no one wants to see.” This baffled me. The Packers blew a chance to clinch the second seed and a first round bye against a mediocre Vikings team in week 17, and then beat the same team at home, after the Vikings were forced to play the forgettable Joe Webb for an injured Christian Ponder. This is the team the 49ers defeated after a week’s rest at home. 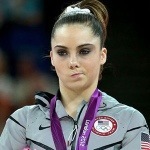 Sorry, but McKayla and I were not impressed. Then, the 49ers played an Atlanta Falcons team that I never really bought into. The Falcons played too many bad games in 2012 that they somehow managed to win, and I never expected them to get to the Super Bowl. When the Falcons gagged against the Seahawks, and came within seconds of blowing an easy win, my doubts were reinforced. Against the 49ers, Atlanta again jumped out to a big lead, and again tanked in the second half, allowing the game to slip away. Even so, they still might have beaten San Francisco had Matt Ryan seen a wide open Tony Gonzales at the end of the game. But he didn’t, and predictably, the 49ers survived. Once again, we were not impressed. The Ravens on the other hand, playing without a bye week, took care of business at home against Andrew Luck and the Indianapolis Colts, and then traveled to Denver as 10 point underdogs to take on Peyton Manning and the #1 seed Broncos. Despite giving up 14 special teams points, the Ravens refused to give in and rallied for one of the most exciting wins in franchise history. McKayla and I were very impressed. Not content with that, the Ravens then went out and beat Bill Belichick, Tom Brady and the New England Patriots in Foxborough. Joe Flacco lit up what was supposed to be a formidable Patriots defense and just to make the point, the Ravens shut out Tom Terrific in the second half – in his own house. We were again very impressed. So now, having beaten Peyton Manning and Tom Brady on the road, in freezing conditions on successive weeks, I’m supposed to be afraid of Colin Kaepernick? OK, right. What I expect the Ravens to do is to allow Kaepernick small successes, and force him into 12-14 play drives, with many third-downs. In short, they’ll play smart, assignment football, deny him the big play, and force him to work hard for every score. Even if the 49ers convert 7 out of 14 third down opportunities, that’s seven times they have to punt or kick a field goal, ending the drive. On the flip side, I expect Flacco to throw well against the 49ers secondary. After two games in arctic-like conditions, passing in a dome will be like a dream come true for Joe, and the Niners secondary is no match for the Ravens receivers. Torrey Smith and Jacoby Jones will stretch the field, while Anquan Boldin and Dennis Pitta work underneath. And then there’s Ray Rice, who is incredibly dangerous either rushing or catching passes. For the 49ers defense, it’ll be pick-your-poison. In the end, I expect Kaepernick and the 49ers to score between 21-24 points on Sunday, while I look for Flacco and the Ravens to hang 28-35 on the scoreboard. In this game, the intangibles also favor the Ravens, such as the “underdog-no respect” card, Ray’s Last Ride, the “team of destiny” thing, and the depth of veteran, playoff-experienced players. This is why Baltimore bends, but never breaks. Of course, special teams and turnovers are always a wild card, and if Flacco goes cold for some reason, all bets are off. Ultimately, I see the final score as something like 31-24 Baltimore, and if Joe Flacco throws for 250-300 yards with one interception or less, I don’t think anything San Francisco does on offense will matter.